Advertising in the Conference Program for the annual convention of the American Association of Teachers of Slavic and East European Languages, AATSEEL, is seen by 350-450 of the most active and professional Slavists in the United States and Canada. The book is a "keeper," containing the full conference program and abstracts of all presentations. 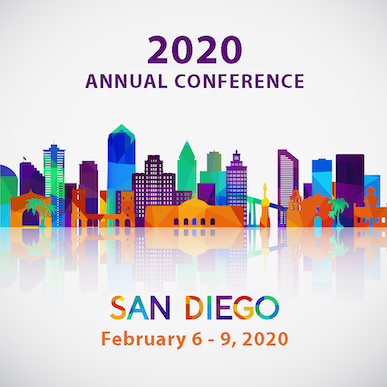 The deadline for submitting program advertising orders and payments for the 2020 conference in San Diego will be January 3, 2020. Advertisers should register and pay online (select "Program - February 2020" option). The deadline for submitting camera-ready copy either through the program advertiser online order system or by email to the AATSEEL Conference Manager (aatseelconference@usc.edu) will be January 3, 2020. Late submissions of ads and late requests for ads are difficult for us to accept because we have tight deadlines for publication of the conference program book. Please direct any questions about advertising in the AATSEEL Conference Program, program advertisement orders, reserving the outside back, inside back, or inside front covers of the program for your ad, or specifications for ad copy to AATSEEL Conference Manager Rachel Stauffer.